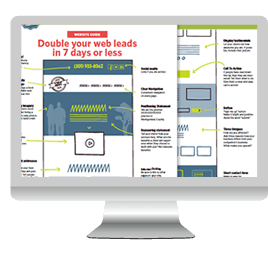 Most businesses already have a website. But if the website isn’t bringing you more customers then we can help. We offer Marketing Jam Sessions that help you understand how to enhance your website so it will work harder to meet your marketing goals. In this session, we review the messaging on your home page. If your messaging isn’t engaging visitors, they will click away. We will explore who your perfect customers are and why they would hire you. Then we work on smarter messaging to engage their interest. When an ideal prospect visits your website, you want them to pick up the phone or provide you with their email. This is called a “conversion”. We help you think through the conversion strategies that make sense for your business. Often when people visit your website, they are not ready to buy your services. Once we figure out your conversion strategy and collect emails, you can send out a series of automated yet friendly emails so that people begin to know, like and trust you. This will keep you top of mind when they are ready to purchase. Sign up for all 3 Jam sessions and get your MailChimp automation set up for no additional charge. Which Jam Sessions are you interested in?